the easiest work flow on the planet . lol . no spam my Brother . just spreading the word in plain sight . 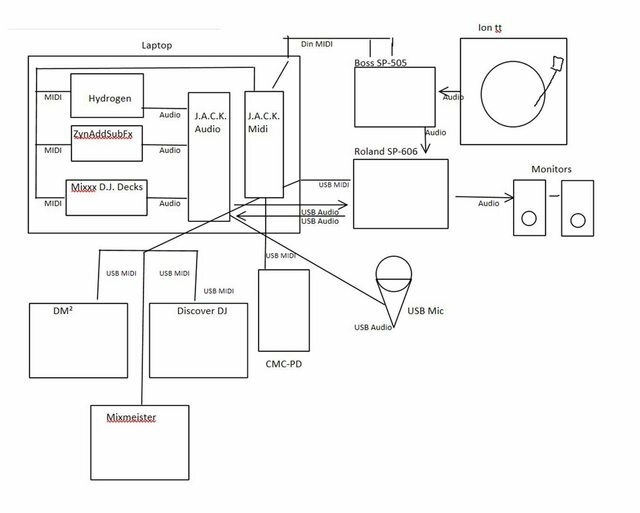 how do SP heads use their twin setups to get the most out of the workflow? depends on your SPs and what your trying to do. 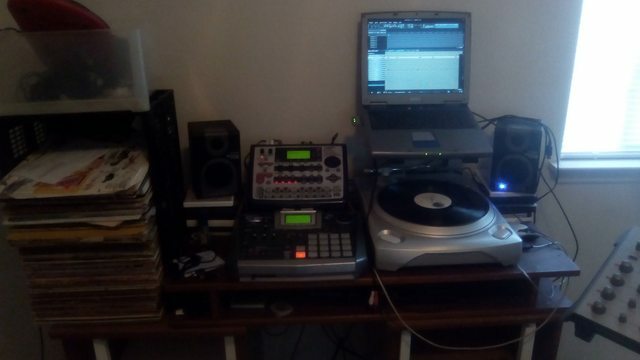 the turntable's outputs go to my 505.
the 505's Midi in/out go to the laptop. 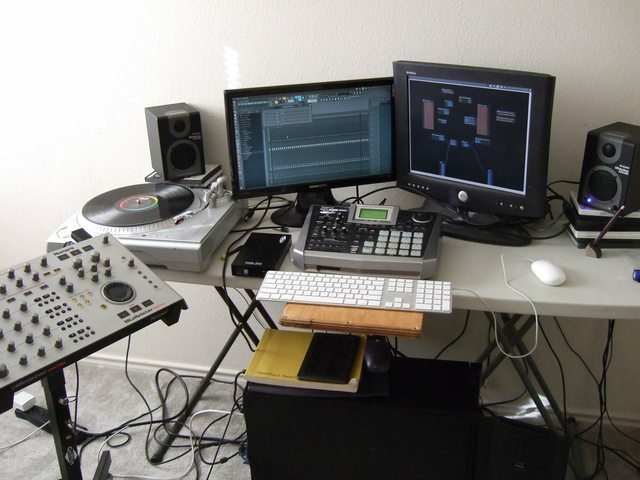 the 505's Audio outs go to the 606.
the 606 is USB Audio/midi, in/out of the laptop. the 606 also has Audio out to monitors. midi controllers direct to lappy. 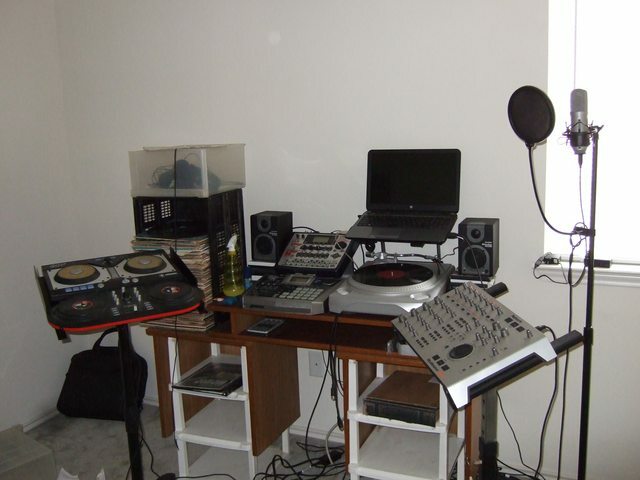 the 606 is the center, it can be a midi controller.... so i use it lay drums with the hydrogen drum machine. then i can use the 606's ext-resample to get the drums. i do the same thing with the zynaddsubfx synth. also, i can sample youtube, mp3 and movies right from the laptop. which is cool. any drums get sent to the 505 through coax cable for crunch, drums coming from vinyl usually get sequenced there (in the 505) but it's sequencer is slaved to the 606.
so the only thing that really gets sequenced on the 606 is phrase sample chops, or sometimes i'll make a bass or lead on the 606's synth that i'll sequence. the important thing is to use resample and slaving to get the most out of the combined polyphony. it's really interesting to see how each platform effects the outcome. My favourite setup atm is this, with the 404 mixed in to bounce back and forth between the 303. Edit: sorry for giant image. yo honestly i've never seen a dual 404 setup in action. if anyone has any good links to videos of a dual 404 setup or if anyone wants to upload something, i'd really appreciate it, since i'm considering picking up a second one. Got to agree with the O.P. 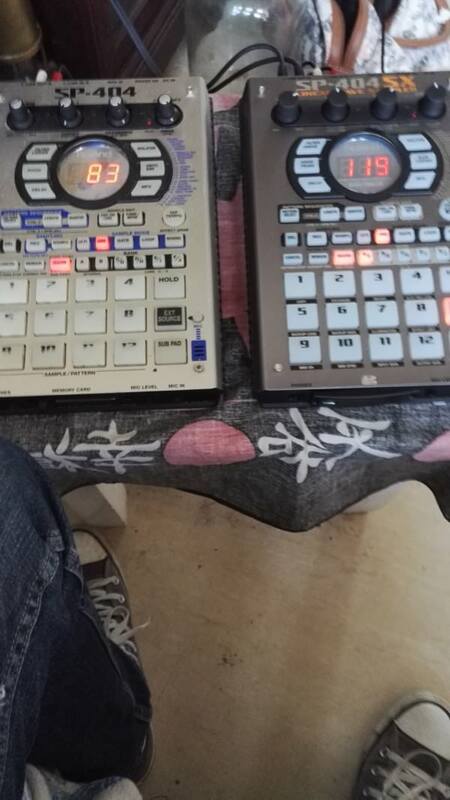 here cause I absolutely love smashing beats and tracks out live on two SP's direct to a tape deck preferably. 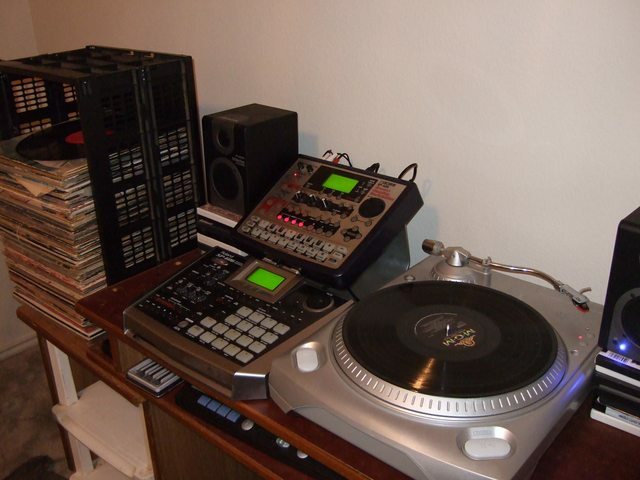 I used to run two SP-808 EX's with a mixer in between the samplers back in the day which was really dope . Last edited by Danswift on Tue Dec 19, 2017 3:15 pm, edited 5 times in total. Ok thanks man, I will try again. Every time I tried previously the pics came out massive and stretched the page !